Humidity/Temperature Datalogger The SD500 is a Humidity/ Temperature Datalogger that records data on a 2G SD card in Excel format for easy transfer to a PC for analysis. 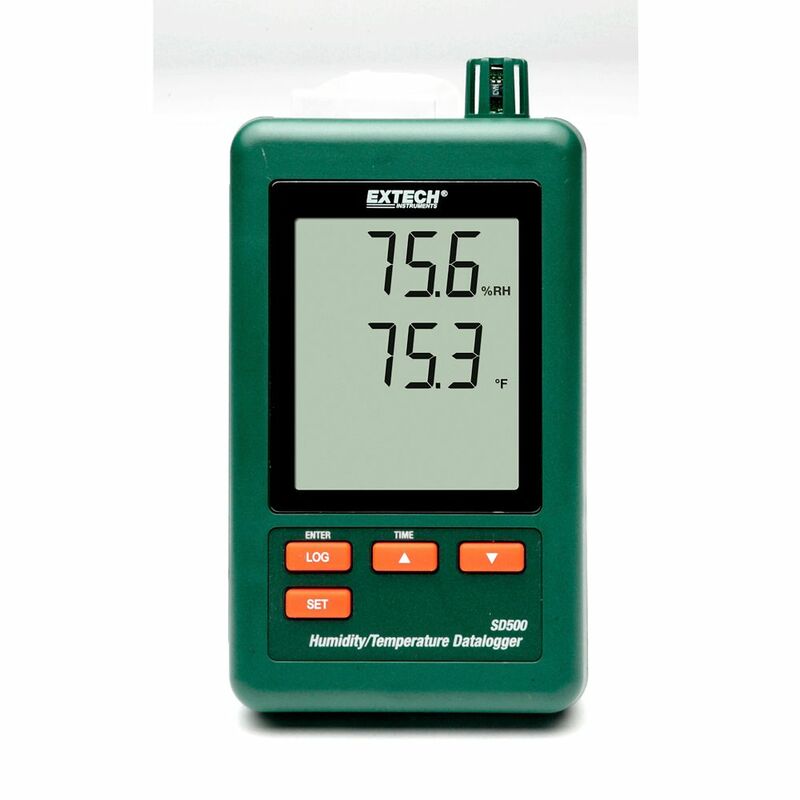 It features a Dual LCD that simultaneously displays Relative Humidity and Temperature, and a selectable data sampling rate of 5, 10, 30, 60, 120, 300, and 600 seconds. Each stored reading includes a date and time stamp. 10 to 95% Relative Humidity; 32 to 122F (0 to 50C) Temperature. Complete with 6 AAA batteries, 2G SD card, Universal AC Adaptor, and mounting bracket.